Producer & Director Perspectives On "Call Me by Your Name"; Diving Into The Sound of "Water"
Christian Cooke, a Best Sound Mixing Oscar nominee for "The Shape of Water"
Actor Peter Spears waited a long time to produce his first feature, Call Me by Your Name (Sony Pictures Classics). Clearly the wait was worth it--not just because the coming-of-age tale earned him a Best Picture Oscar nomination but also that the on-again, off-again roller coaster ride that extended over the years was essential to ultimately creating a film that was worthy of Academy consideration to begin with. The long-and-winding road led Spears to, for example, the right producer colleagues--including his Best Picture Oscar nominee compatriots Emilie Georges (interviewed in a prior installment of this Road To Oscar series), Marco Morabito and Luca Guadagnino, the latter also proving to be the visionary director needed to do proper justice to the screenplay by James Ivory based on André Aciman’s novel. In all, Call Me by Your Name received four Oscar nominations--Best Picture, Adapted Screenplay, Leading Actor (Timothee Chalamet) and Original Song (Sufjan Stevens for “The Mystery of Love”). Still, the timing wasn’t ideal on all fronts. 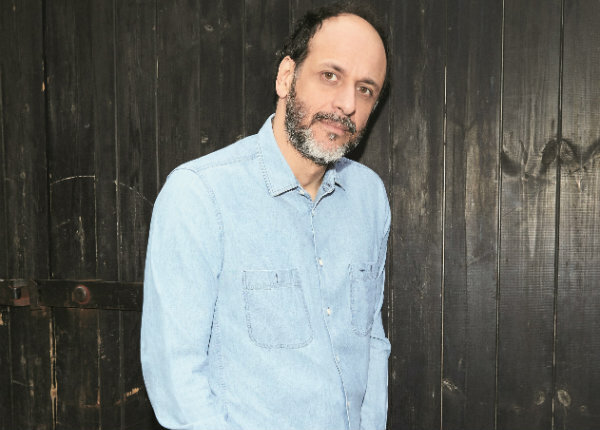 Guadagnino noted that the summer of 1983 story was shot in a 17th century Italian villa in May--except the weather that particular month turned out to be extraordinarily and uncharacteristically rainy. “We didn’t have the sunshine we wanted,” recalled Guadagnino who credited cinematographer Sayombhu Mukdeeprom and sound designer Jean-Pierre Laforce with helping to overcome the unexpected weather. Yet ultimately it was the beauty of the story that overcame all logistical barriers. Chalamet portrays 17-year-old Elio, who’s quite worldly for his age. He lives in a northern Italian villa with his academic parents (Michael Stuhlbarg, Amira Casar) when a 25-year-old grad student named Oliver (Armie Hammer) arrives. Elio becomes involved with Oliver and in the process learns the beauty and heartbreak of love. The Shape of Water (Fox Searchlight) earned Christian Cooke and Nathan Robitaille their first career Oscar nominations--respectively for Best Sound Mixing and Best Sound Editing. These are two of the 13 Academy Award nominations bestowed upon The Shape of Water, including Best Picture and Best Director (Guillermo del Toro). Cooke and Robitaille also have in common how they first connected with Water director/producer/writer Guillermo del Toro; it was on the FX Network series The Strain which del Toro created. Robitaille said The Strain gave del Toro “exposure to my fingerprint as a sound designer” as well as to the work and creative mettle of fellow Sound Editing Oscar nominee Nelson Ferreira. The Shape of Water introduces us to a janitor named Elisa (portrayed by Oscar nominee Sally Hawkins) who works in a hidden, high-security government laboratory. Elisa is a mute, trapped in a life of isolation. Her life, though, takes on hope when she and co-worker Zelda (Octavia Spencer, a Best Supporting Actress nominee) discover a secret classified experiment--a hybrid man/sea creature (Doug Jones) with whom Elisa makes a special connection. Elisa and this amphibian man, who too is mute, fall in love. Re-recording mixer Cooke shares the Sound Mixing Oscar nomination for The Shape of Water with sound mixer Glen Gauthier and re-recording mixer Brad Zoern. Cooke said the biggest creative challenge the film posed to him came when the character Elisa went into a song-and-dance routine. The vocals, he noted, were done by an opera singer. “Blending in Sally with the opera singer was a difficult proposition, going from one character’s breath to another, making it seem like one seamless soundscape,” shared Cooke. This is the 15th and final installment of this year’s The Road To Oscar series. SHOOT will continue to report on Oscar-related news and of course provide coverage of the 90th Oscars to be held on Sunday, March 4, at the Dolby Theatre at Hollywood & Highland Center in Hollywood. The awards ceremony will be televised live on the ABC Television Network. The Oscars also will be televised live in more than 225 countries and territories worldwide.